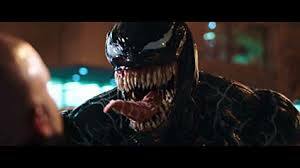 Despite abysmal reviews, "Venom" is a hit with audiences and has grossed over $500 million worldwide. The movie is Sony's first jump back into the Spider-Man universe without Marvel Studios in its corner since "The Amazing Spider-Man 2" misfired in 2014. Box-office experts agree that the movie's success is no fluke, and is the rebound Sony needed. "If they consistently make films audiences want to see, Disney will have to buy Sony to get Spider-Man back," said Exhibitor Relations senior box-office analyst Jeff Bock. Sony has multiple Spider-Man projects in development, and a "Venom" sequel is highly likely. Before Sony's latest foray into the world of Spider-Man, "Venom," hit theaters a month ago, there was worry the studio might have a flop on its hands. Critics couldn't publish their takes on the movie until October 2, just two days before "Venom" would be screened to audiences during early Thursday night showings. Such a short span of time between a film's review embargo and its release is usually a sign of trouble, and it was: critics tore into the movie, which ultimately scored a 27% among critics on Rotten Tomatoes. Sony couldn't afford another misfire after "The Amazing Spider-Man 2" failed to generate excitement in 2014. If "Venom" bombed, it probably wouldn't have spelled defeat for its "Spider-Man" universe going forward (it's still Sony's biggest cinematic property). "If it had failed, there is a chance Sony would have definitely returned to the bargaining table with Disney," Jeff Bock, Exhibitor Relations senior box-office analyst, told Business Insider. "Now, that's up in the air." Fortunately for Sony, "Venom" is a hit. The Tom Hardy-starring movie has scored over $500 million worldwide with a $100 million production budget. It has an 87% audience score on Rotten Tomatoes from 32,000 ratings, and a B+ Cinemascore. It broke the box-office record for an October opening weekend with $80 million after estimates put it in the $65-75 million range. The success of "Venom" means Sony's "Spider-Man" cinematic universe, which once looked like it was on life support, is here to stay. In 2015, Sony struck a deal with Marvel Studios in which Spider-Man could be introduced in the Marvel Cinematic Universe while Sony still maintained distribution rights and creative control. That means Sony could still make movies based on the 900 Marvel Spider-Man characters it owns film rights to, while Marvel and its parent company Disney could use the character in its own film universe. The deal came after Sony's "The Amazing Spider-Man 2," the sequel to its 2012 reboot, floundered at the box office. It raked in just over $200 million in the US, barely more than its production budget, after opening to a disappointing $91 million. Most of its money came from international box office, which isn't new for a blockbuster, but it wasn't enough to fulfill Sony's grander Spider-Man vision to compete with Marvel after "The Avengers" made $1.5 billion worldwide two years prior. "Everyone had high hopes for this," a production assistant on "Amazing Spider-Man 2," who wished to remain anonymous to protect future business relationships, told Business Insider. "They were projecting for it to at least make more money than the first one." "The Amazing Spider-Man 2" made less domestically and globally than its sequel. Then the Sony hack happened in November 2014, in which WikiLeaks released a massive amount of private Sony emails, data, and files. Internal communications about "reinvigorating" the "Spider-Man" franchise and potentially having Marvel Studios produce were revealed. It all forced Sony to reevaluate its planned Spider-verse, which would have included a "Sinister Six" villain-centric spin-off that "Amazing Spider-Man 2" attempted to set up. Instead, Sony worked with Marvel Studios to deliver the MCU's "Spider-Man: Homecoming" starring Tom Holland last year, which was a hit. "Sony just wants to make a buck, and they don't mind throwing s--- at the wall to make a buck," the former production assistant said. If you asked critics, "Venom" was another case of "throwing s--- at the wall." But audiences have thought differently, and box-office experts agree that the movie's success is no accident. 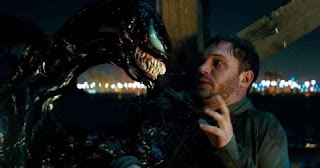 Sony "took a calculated risk with Venom, and it's now going to be a series," Bock said. "It seems Disney needs Sony's Spider-man more than Sony needs Disney ... If they consistently make films audiences want to see, Disney will have to buy Sony to get Spider-Man back." "A half-billion dollars in revenue for 'Venom' worldwide proves that this is no fluke and despite a critical drubbing, the film has found great favor with audiences who are fully vested in the 'Spider-Man' brand as well as their embracing of Tom Hardy," comScore senior analyst Paul Dergarabedian told Business Insider. What's next for Sony's Spider-Man plans? The animated "Spider-Man: Into the Spider-Verse" hits theaters this December. The "Homecoming" follow-up with Marvel Studios, "Spider-Man: Far From Home," comes to theaters in July 2019. 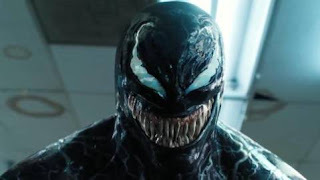 Apart from the MCU, Sony is developing multiple spin-offs like "Venom," including one starring Jared Leto as the vampire Morbius, and one featuring frequent Spider-Man love interest, Black Cat. There's even the possibility that Spider-Man himself could show up, and whether it would be Tom Holland's MCU version or someone else remains to be seen. Oh, and a "Venom" sequel is highly likely. "There is strong interest in a sequel which will no doubt happen given its success," BoxOfficeAnalyst.com's Doug Stone said.